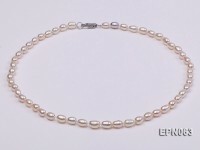 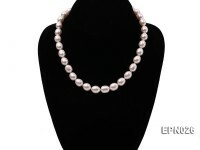 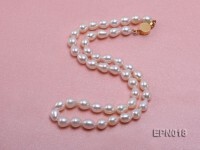 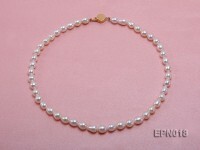 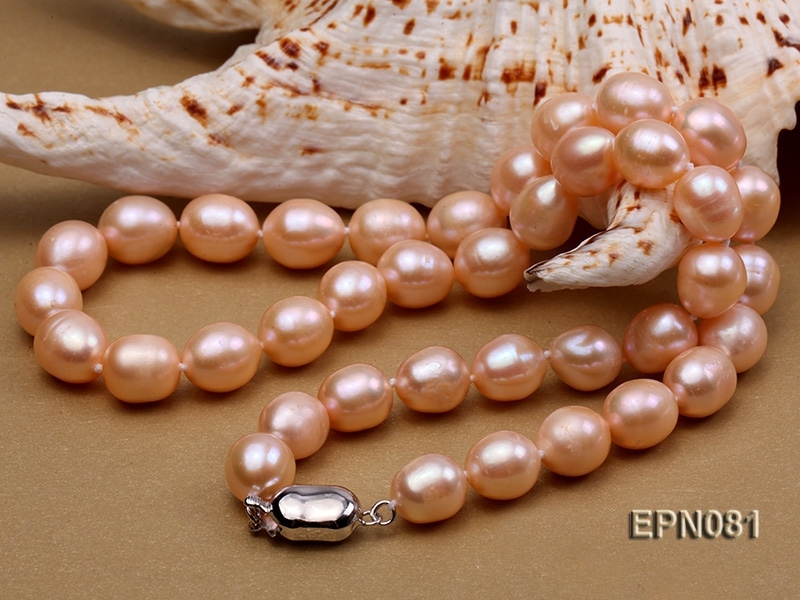 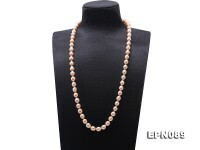 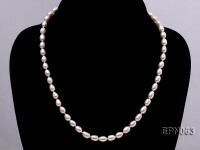 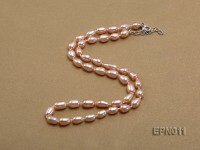 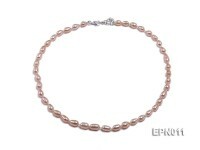 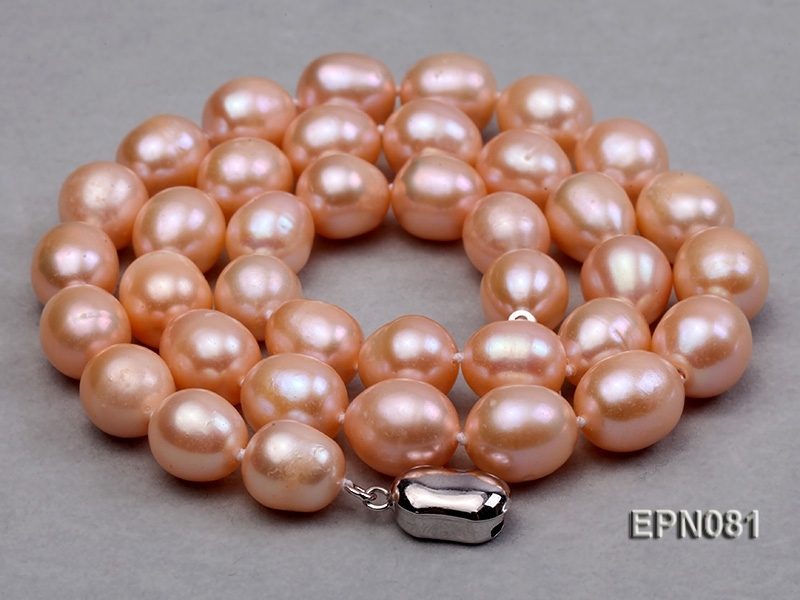 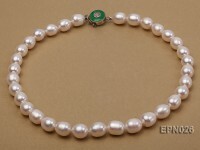 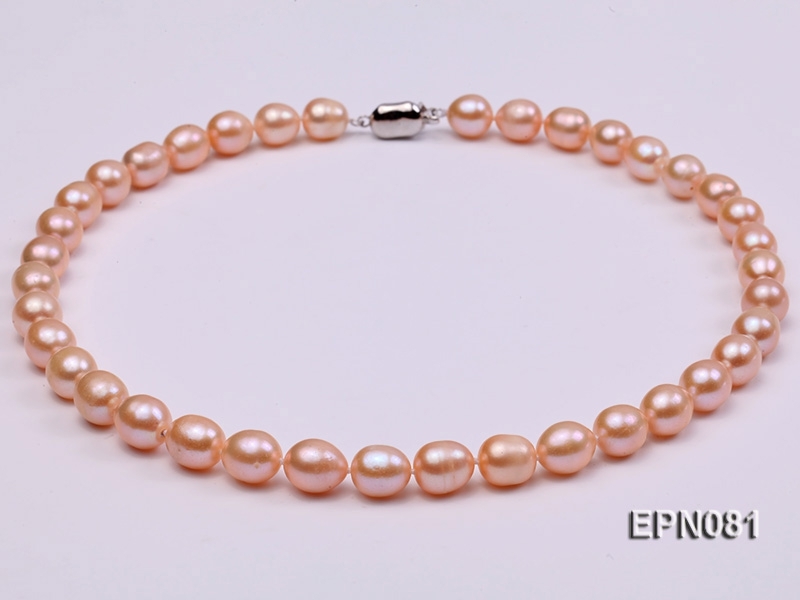 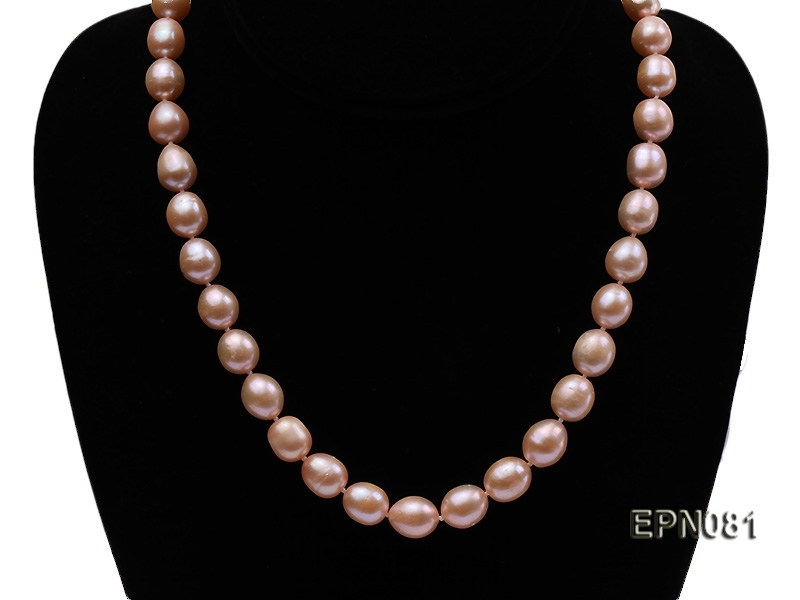 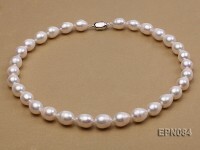 This is one high quality-price ratio pearl necklace, made with 9-10mm round white freshwater pearls of fine quality. 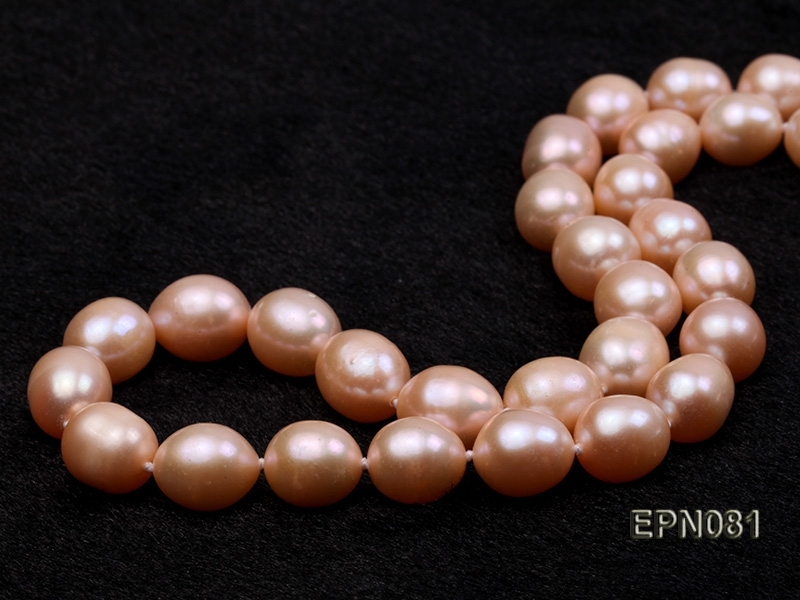 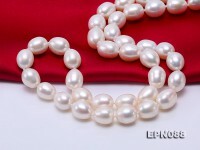 These pearls have few small blemishes on the skin, but they are big size and lustrous, and they are all natural. 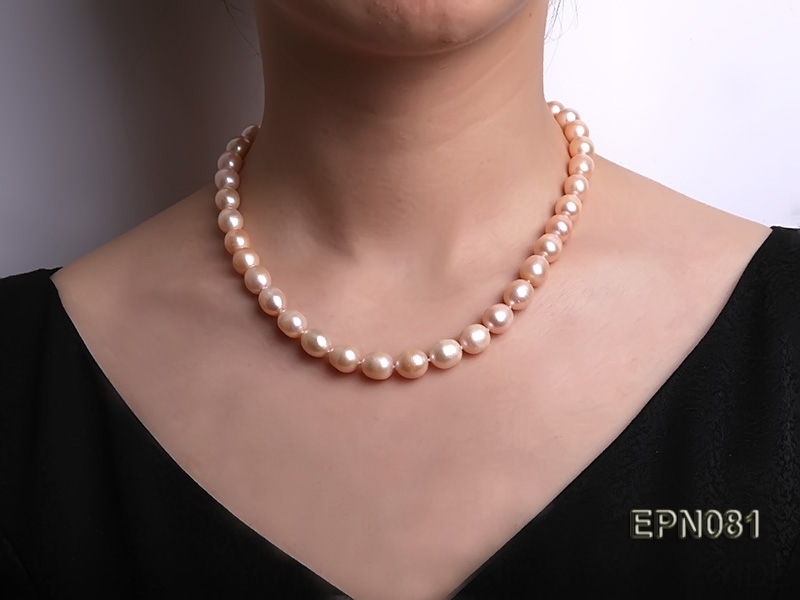 This simple and classic single-strand necklace can easily match with any of your wardrobe.